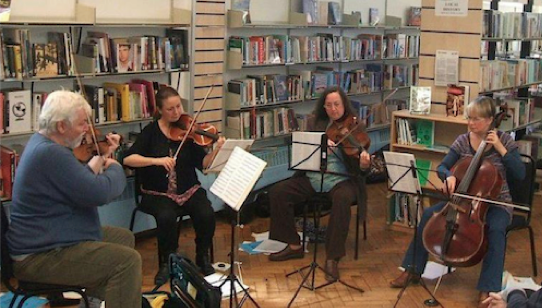 As part of the Herne Hill Music Festival the Calton String Quartet will be returning to the Carnegie Library to entertain library users and visitors. 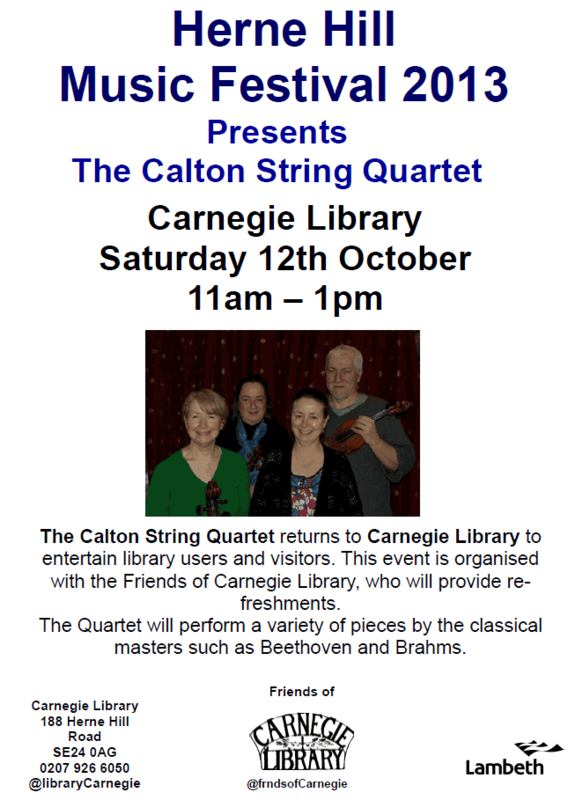 This event is organised with the Friends of the Carnegie Library, who will provide refreshments. The Quartet will perform a variety of pieces by the classical masters such as Beethoven and Brahms, and also Twentieth Century British pieces by composers such as Frank Bridge.